If you geo-tag your photos using an external GPS logger, like I do, then you need to make sure that the time on your camera is set accurately, else when the application matches photo time to GPS logged point, it'll place you somewhere you weren't. I previously discussed it here. The thing is, is that the phone time isn't always accurate either. Some cell networks do not provide the NITZ time, and the phone's internal time can drift. 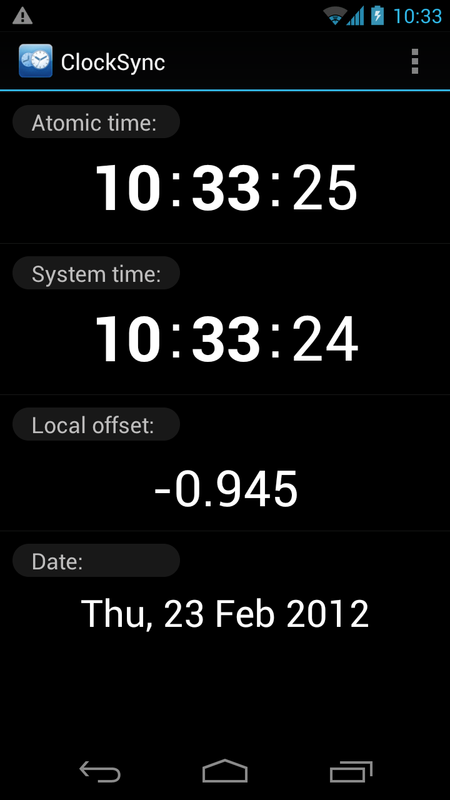 Starting with Android version 3.0 ie Honeycomb, there is a function which automatically updates the phones time using NTP. 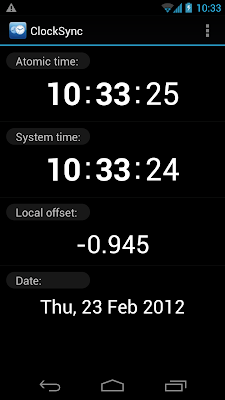 It checks in every 24 hours to NTP, and updates the phones time if the drift is more than 5 seconds. But still your phone could be 5s out. What if you want better? ClockSync shows system ie phone time and Atomic time ie NTP time, so you can set your camera to Atomic time and be super accurate with your GPS tagging.